What Works for My Skin, & Maybe Yours, Too! Skin care is very annoying, time consuming, and expensive. Thankfully, I have pretty good skin acne-wise, with a few pimples here and there. My major issue is dryness…my skin is a f*cking desert. Every morning, night, or during a shower I will wash my face with the Glossier Milk Jelly Cleanser. 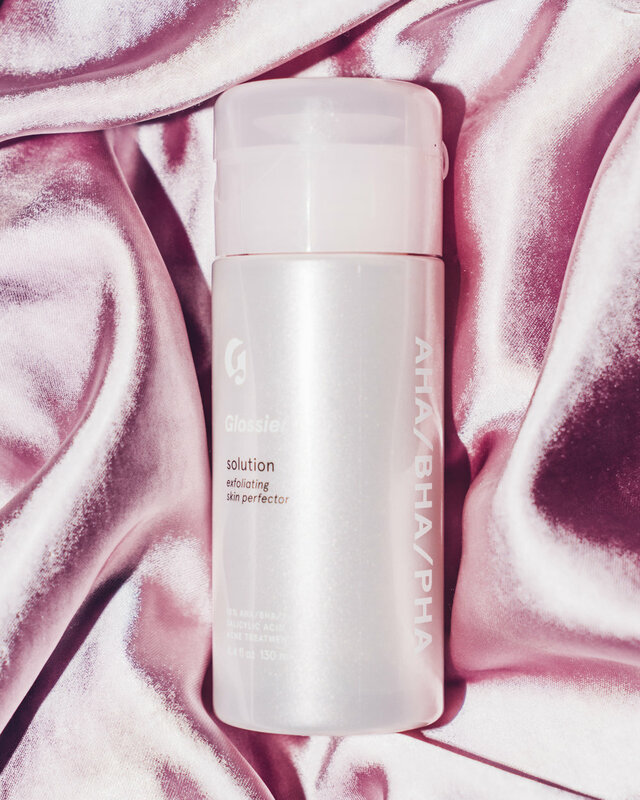 Glossier states that this is the “ultimate daily face wash” … and I totally agree. It has a gel consistency with no specific or strong scent. It simply gently gets the job done, leaving your face clean and refreshed. Before applying any makeup I make sure to prep my skin. I’ll usually put a few dots of the Glossier Priming Moisturizer on. It is lightweight with no specific scent, just a classic moisturizer. If I’m particularly dry that day I’ll use the Rich Priming Moisturizer. I personally love the Rich Priming Moisturizer because it is a lot thicker, hydrating, and smells like a freakin’ lavender field. When the day is over, I remove my makeup with any brand of makeup wipes I have handy. Then I use the Glossier Solution. This is a semi-new product for me. I’ve never used a product like this before and I honestly love it. It basically gets all the excess gross sh*t off your skin. I’m amazed every time I see how much comes off my skin after I’ve already cleaned my makeup off. Lastly, I apply moisturizer. MY FAVORITE PART. So, I’ve always loved the Mario Badescu Drying Lotion to dry out my breakouts, because it actually freakin’ works. But I recently discovered the Mario Badescu Chamomile Night Cream and it is literally the best thing ever. Sadly, it doesn’t smell as beautiful as Glossier’s moisturizer, but it will make your face feel A M A Z I N G. Please do yourself a favor and buy this, you will not regret it.